Radio has been the most admired form of media in Afghanistan since the 1920’s, which are generally in Persian and Pashto as well as some Urdu, Hindi, and English languages. Radio broadcasting went into the air in 1925 with Radio Kabul being the first station in the country. By the late 1970s nearly every home owned at least one radio, particularly in the main cities. During the 1990s, the Taliban governments prohibited instrumental music and much community music-making. After the fall from power of Taliban government, Afghanistan continues its cultural views. The multi-ethnic city of Kabul has long been the regional cultural capital, but outsiders have tended to focus on the city of Herat, which is home to traditions more closely related to Iranian music than in the rest of the country. The media of Afghanistan includes printing, broadcasting and digital. It is mainly in Dari and Pashto, the official languages of the nation. There are an estimated 150 radio stations broadcasting throughout Afghanistan. Radio Kabul is the official radio station of Afghanistan. This radio is much-admired radio station from Afghanistan, also the first radio station in this country. The radio has thousands of listeners for their daily radio programs. The radio has programs like the News, Government news and function, Political and educational programs, Sporting news in Pashto, Dari and the also presents English programs from the National Radio Television. The Taliban banned Radio Kabul and ordered the destruction of the radio archives, which contained irreplaceable tapes of Radio Kabul music and political programs going back over forty years. After the Taliban were driven from power, Radio Kabul resumed its programs. Taleemul Quran Radio FM 92.9 provides the best Islamic programs for you. A major aim of Taleemul Quran Radio is to promote the message of Islam. This is an Islamic radio station broadcasting ethical program in both English and Arabic from Kandahar, Afghanistan. This station has been designed to give you the best Islamic experience no matter whether you are living in Kandahar, Afghanistan or anywhere else in the world. It has also become synonymous with Islamic values and a tool to dispel misconceptions relating to Islam and Muslims in Middle-East and abroad. Also provides accurate information about Islamic beliefs and practices, children programs, political issues, social and Islamic music. BBC Pashto is one of the most popular news broadcasters in the world BBC. Nabi Misdaq was the founder and first editor of BBC Pashto.With BBC Pashto you can have the benefit of all kinds of news, news analysis, conversation and much more educational and analytical programs. BBC Pashto was launched in August 1981, and contacts out to the over 50-60 million Pashto speakers in Afghanistan and Pakistan, as well as all Afghan around the world. You can listen to breaking news, sport, radio and a whole lot more, wherever you are, whatever your age. Radio Ariana is a private radio network established in 2005 by Engineer Ehsanullah Bayat with more than 60 radio transmitters. It is one of the most popular radio stations in Afghanistan, providing programs in Dari, Pashto, Uzbeki, and Turkmani languages. It is the largest private media stations in Afghanistan, covering 33 of 34 regions and coming to more than 20,000,000 Afghans. This radio transmits from Kabul, Afghanistan providing education, health, children’s programming, women’s, and world issues. Arman FM is another popular online broadcast radio station in Kabul, Afghanistan. Owner of this radio is Saad Mohseni and founded in 2003. Programs of this radio are exceptionally varied bringing the newest music from Afghanistan and around the world to the listeners. It is providing Afganistan’s culture and Contemporary music, news and Entertainment, playing all the latest music from Afghanistan and around the world presented. This radio brings you all the latest music from Afghanistan and around the world presented by some of the hottest young DJs in the country. Arakozia FM is a popular radio station of MOBY Media Group. Arakozia FM broadcasts news, sports, music, and commentary regularly. Drama shows, poems, sports, music, agriculture, and health programs are provided Pashtu language with up-to-date information. Arakozia FM is one of the largest advertising media group. This radio offers a diversity of local and global news, political and religious commentary programs including daily programming that focuses on sub-national governance, farming, security, small business, community health, and wellbeing as well as the celebration of local cultures and traditions. Radio Killid: The Killid Group (TKG) is a sovereign online radio station in Afghanistan. Radio Killid is the popular radio station of this group. TKG operates the Radio Killid Network with local stations in Kabul, Mazar, Kandahar, Jalalabad, Ghazni, Khost, Herat, Nimroz, Kunduz, and Baghlan. TKG’s audience reach is demographical, geographically, and numerically broad. At present TKG manages a corporation of 28 affiliate stations across the country. In 2010 TKG launched Afghanistan’s first radio station dedicated to Rock ‘n’ Roll. Radio Killid Network’s interesting mix of open supervision arranged to programme like educational projects, news, amusement, and music achieve many audience members. Radio Srood is a one of the most famous online radio station on Afghanistan. This Radio broadcast various kinds of music. This radio is student-driven with a mix of popular music and talks radio programs produced by students. This charming program is filled with varied character voices, sound effects, and easy-to-follow religious truths. Radio Srood broadcasts 24 hours a day and covering major cultural and festival events; Informative talks programs and Specialist music programs. The weekly program of Radio Srood is Religious stories. Educational programs are also regularly broadcasted on this radio. Spogmai Radio is an online radio station, live broadcasting from Afghanistan. 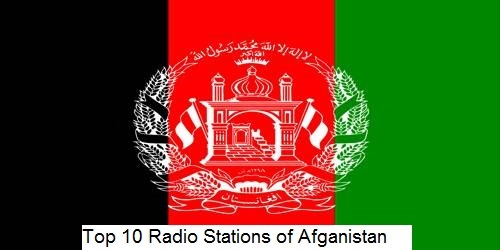 This radio station has started broadcasts FM transmissions in Kabul 2008 with the genre- News and Arabic Music. Coverage areas are Kapisa, Wardak, Midan, Kabul, Kandahar, Logar, Panjsher, Parwan, and North Zone. Spogmai Radio presents political, cultural, social, and literary programs at 102.2 FM. It is one of the most famous online radio stations on Afghanistan. This Radio broadcast various kinds of Arabic Music and Talk. This Radio station streaming music and programs both in online. BFBS Afghanistan broadcasts its programmes decorate its playlists for a socially and culturally diverse audience. BFBS started broadcasting in Afghanistan in 2001. Nonstop music, Local and International news and information are the main attractions of this radio station. This station’s productions and information-based programs include such as current affairs, culinary, cultural, amusement and sports fields. BFBS Afghanistan is working as a bridge between listeners and music.